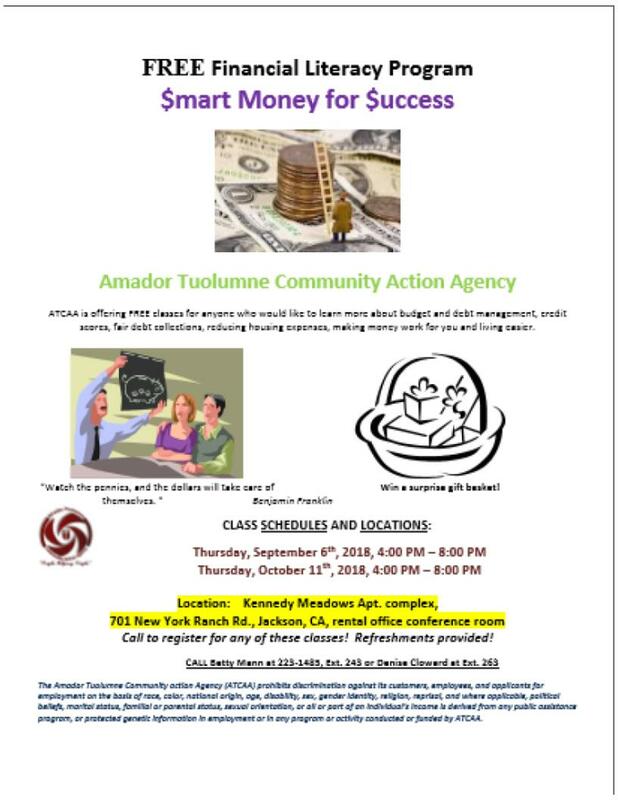 ATCAA is offering FREE classes for anyone who would like to learn more about budget and debt management, credit scores, fair debt collections, reducing housing expenses, making money work for you and living easier! Call to register for any of these classes! Refreshments provided!